Many communities are interested in becoming more pedestrian-friendly. 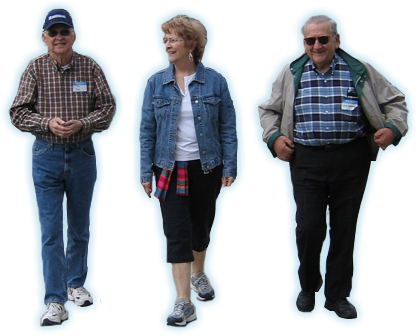 Older adults are one segment of the community who need to have the option to walk for errands, health benefits, socializing and other purposes. View the 90 minute workshop and listen to the instructor. For individuals who want to teach the Workshop, watch the training and download the materials. For individuals who want to give a thirty-minute presentation focused on actions for older pedestrians to prevent injury.